Adam Stafford is a Glasgow-based musician and film maker. We profiled him last year when he released his fine solo album, Build A Better Harbour Immediately. One of the tracks was "Shot-Down You Summer Wannabes", a bit of Scottish doo-wop. Here is a video of his performance of the song. Note that the entire song is Adam's voice, and the deft use of a loop pedal. We're introducing The Labelmates rather than helping you to "get to know them", because we really don't know much about them either. The band lists Glasgow as their location. They have a Facebook page, which tells you very little, and a Soundcloud page, which gives you a nice demo track that you can download. There also is a Myspace page, which is an interesting artifact, because who uses Myspace these days? They describe their music as mellow surf, and the demo below supports the description. We hope there is more in the future. And a tip of the When You Motor Away motoring cap to Lawrence McCluskey (Strawberry Whiplash/Bubblegum Lemonade) for alerting about this band. I have been reading so many thoughtful tributes to Donald Duck Dunn this week, and the number of great records the guy played on is amazing. 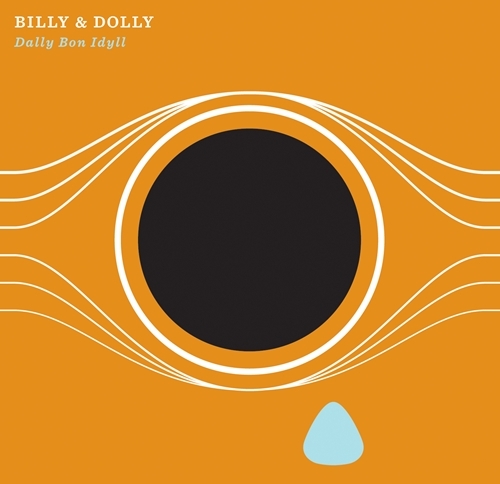 And what a range of artists - Muddy Waters, Isaac Hayes, John Prine, Jimmy Buffett, Joan Baez, Duane Allman, The Staple Singers, Tom Petty, the list goes on and on - http://www.duckdunn.com/discography.html. My concert pick of the weekend is the show at The Comet Tavern on Sunday night. The bill includes local band Koko and the Sweetmeats and San Francisco's The Mallard. The opening act is Telemesser. The Mallard released one of my favorite albums of the year so far, Yes On Blood, and play a surfy garage rock with delightful sonic embellishments. I hope everyone has a good time. However, do not buy Greer too much beer if that neighborhood of Capital Hill is scheduled for trash pick up the next day. Trust me on this. One of the earliest exchanges I had with the Blogfather, John Hyland, after I started writing for this blog was about the shame that a band as good as Seattle's Black Whales wasn't on a label. Their June 2011 album Shangri-La Indeed was excellent (our review here). The psychedelic garage/folk rockers have returned this year with a digital single entitled "Vietnam". The song is hazy, fuzzy, psyche masterpiece. 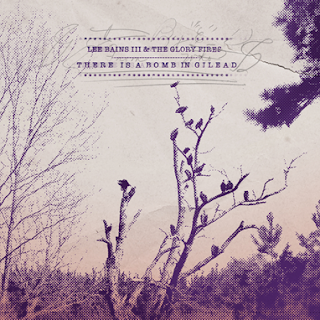 It also features cover art from the band's frontman, Alex Robert. "Vietnam" was released yesterday, and you can stream the single here in your choice of Soundcloud or Bandcamp. You can purchase the song via Bandcamp, or at iTunes. Black Whales are Alex Robert, Alan Foote, Davey Brozowski, Ryan Middleton and Dave Martin. They will be playing the Sasquatch Festival at the Gorge, in Washington, on May 26 (scheduled for Noon on the Yeti Stage). The songs are sunny, romantic and direct, the guitars are shimmering and layered. It may have the most positive feel of any indie pop album you hear this year, but it it a tribute to Love's ability that the album isn't the least bit saccharine or lightweight. With Electric Cables, our ears are in the hands of professionals. Love's collaborators on the recordings include Dave McGowan, Brendan O'Hare, Bob Kildea and Tom Crossley, a groups whose current and/or past associations include Teenage Fanclub, Belle & Sebastian and the Pastels. 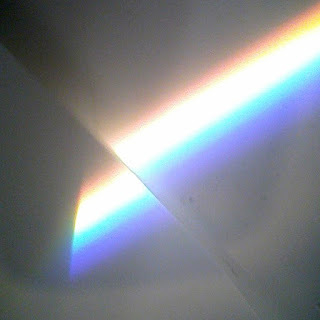 While the songwriting and vocals of Love are the primary display, the contributions of the others on guitars, drums, keys and flute flesh out Love's vision to perfection. If you are a fan of sunny guitar pop, this is an album not to be missed. The album is released by Domino, and is currently available. Future of What is a Brooklyn band playing electronic keyboard-based rock... it's not dance music per se, although it certainly sounds like it could get a room moving. The clear, pretty vocals and the brevity of the song make this something a little bit different. I'm interested to hear more - this song is all we have for now. This EP will be available on June 26. Future of What consists of lead singer Blair, as well as Seth, Sam and Max. Blair may be known to some for her solo releases, including an album Die Young that she released in 2010. Die Young features her excellent vocals in front of a variety of sounds from drum loops to keyboards to rock guitar, and it's pretty good. I hadn't expected to profile Seattle's Blooper again so soon, but I also hadn't expected them to produce another power pop/garage pop nugget so soon. But their new release, Go Away, is fine, crunchy, hooky stuff, and you faithful readers (and the rest of you freeloaders) deserve to know about it. Stream it here, and enjoy. If you are a person of distinction and taste, you will want to own it. In that case, simply follow the Bandcamp link. Blooper is Adriano, Chris and Darin. Here's the first song off the upcoming Baroness album. The long-awaited new album from Savannah, Georgia via Lexington, Virginia metal outfit Baroness is being released by Relapse Records on 17 June. It had to be tough to do a follow up to 2009's brilliant Blue Record, which itself followed a groundbreaking effort in 2007's Red Album. So what'd they do? Only what any badass band would do -- make a double album! It's called Yellow & Green, and by the sound of the new song, "Take My Bones Away", they haven't gotten comfortable in their approach. You can pre-order the album from Relapse here. And, because I'm always trying to go that extra mile for those willing to suffer my writing and music taste, you can enjoy the genius of live Baroness in the video below. It's my favorite tune off Blue Record, "A Horse Called Golgotha", followed by a part of "Swollen & Halo" from the same record, from a festival show in the Netherlands in 2010. Lee Bains III & The Glory Fires' debut album There Is A Bomb In Gilead is out this week, and you can download a couple of songs, or just go ahead and buy it. And here's a link to a previous post, in which I was able to share another download - the Allmans-inspired "Centreville". But trust me, if you like good soulful rock music (think Detroit meets Memphis meets Muscle Shoals), just go buy the whole thing. If you're into vinyl, it comes in purple and you can get it right now from Bomp! Records. Or you can get the CD at Alive/Naturalsound Records. Apparently, Glow Kit features members of Cola Freaks, Bliglad and Snow Kite. Their sound covers the power pop and garage punk landscape, and veers in psychedelic and grunge territory as well. Man, those vocal harmonies really hit the spot. I liked this record the first time through, and I like it more every time I listen. The band was formed in 2008, and the current members are Marc Johnston, Matt Vinall, Fran Feely, Luke Headland and Paul Hobbs. In October 2011, they released a four-track EP titled The Sun Shines Over You. The title track was a perfectly executed bit of jangle pop. It is revisited for the final track of If Words Could Kill as a sitar instrumental. Apparently the decision to include only seven tracks reflects the label's support of the 10" vinyl format. While those of us who already are fans of the band naturally crave more, the underlying rationale is reasonable. Moreover, you can be assured that this album contains no filler tracks. Each song could stand on its own as a single, and that is the mark of an album to cherish. 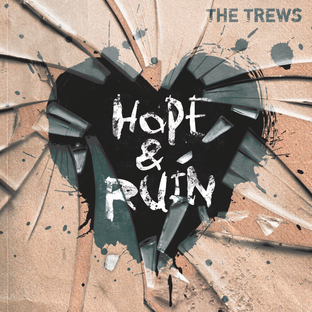 The Trews are a pair of Canadian brothers, singer/songwriters and guitarists Colin and John-Angus Young, with their cousin Sean Dalton on drums and Jack Syperek on bass. They've got a big sound - really this is nothing "new", but they do a nice job with melodic hard rock, and they are excellent guitarists. You'll be reminded of the Foo Fighters on straight-ahead, driving rockers like "People Of The Deer" and Pearl Jam on the title cut. Give a listen to "One By One", which you can download here. And check out their current tour, with US and Canadian dates upcoming (currently they're making their way throughout the US Southeast). And here are two tracks available for download: "Anchor"
Influences are influences, but the craft lies in how they are melded, and Corinna Repp, Joe Haege, Liza Reitz and Toussaint Perrault do that well. From Celtic-influenced chamber rock like "Anchor" to thumping bass and gospel-style chorus on "Blood Stains" to the chugging guitar lead on "Wager", Tu Fawning makes every song interesting. The album is clearly built around Repp's vocals and Haege's guitars, to great effect, but the bass and drums supply a good foundation for the other elements they weave in - synths, keyboards, loops and layer upon layer of harmony vocals. Tu Fawning will be touring in North America in June and July - dates and places available at their website. A Monument is out May 15 via City Slang Records. Haight-Ashbury delivers psychedelic, folk-rock guitars, melancholy chords, and dual female vocals. The result is a captivating baroque pop that sounds more of another place and time than their Glasgow home. Although the band's 2010 debut LP was well received, this spring's sophomore release on Lime Records, Haight-Ashbury 2: The Ashburys, deserves to gain them a much greater following. There is one official video released for the album thus far -- for the second track, "Sophomore". The track was well chosen, as it is a fine track and showcases the great sound of the album..
Haight-Ashbury is Kristy, Scott and Jennifer. Before they formed the band, Scott was a guitarist would recently traveled to San Francisco. He was a fan of early Jefferson Airplane, Grateful Dead and The Jesus and Mary Chain. His sister Kristy, and her friend Jennifer, were vocalists in several previous bands. When their backing musicians failed to show up one night, Scott filled in. The gig was well-received, and a new band sprang to life. Haight-Ashbury 2: The Ashburys reveals a band gaining maturity, sharpening its focus and paying increased attention to the craft of each song. I think their future is bright. Haight-Ashbury is touring Europe for the next few months in support of the album. There are no North American stops. And in addition to Steve Cropper's statement posted by JD earlier today, a touching statement from the leader of the MG's, Booker T Jones: "I've rarely had tears come so quickly." Those guys did some amazing things together. Everybody who enjoys rock music owes them a debt of gratitude. With a throbbing bass, urgent drumming, searching synths, chiming, angular guitars and baritone vocals, "Avalanche" captivates from its opening notes. The song is the new single from Glasgow's Kick to Kill, and is the group's second single in about six months. What listening to the singles, and especially "Avalanche", tells me is that this is an exciting band, capable of writing their ticket to the top. The sound is big--Depeche Mode/Joy Division big. Listen to the single, and feel the energy. It has the unique ability to be in your face, but sensual and danceable. The single is comprises two tracks, "Avalanche" as heard above and a remix of the track. It is released today. And if you like it, note that the band plans to release an LP later this year. Kick to Kill are Dave Cook (vocals / guitar), Harris Hill (synth), Lewis Macaulay (drums / vocals), and Ewen Shearer (bass). Their label is Glasgow's Flowers In The Dustbin, about which you will read more here in the future. One of America's greatest bass players died in his sleep this morning following a show in Tokyo. 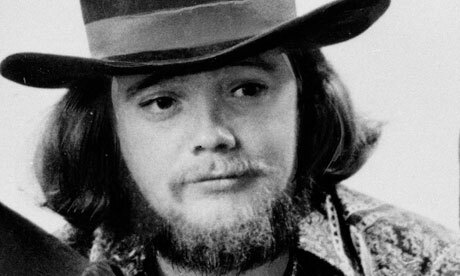 Donald "Duck" Dunn, a Memphis native, became a principal architect of the Memphis soul sound and played on songs that form the soundtrack for multiple generations - Sam and Dave's "Hold On I'm Coming", Otis Redding's "Respect", Eddie Floyd's "Knock on Wood,", and Booker T and the MG's "Green Onions", to name just a few. In addition to being a member of Booker T and the MG's from 1964 on, Dunn was the house bassist for Stax Records, and later a top sessions man in Los Angeles. Over his career, Dunn was enlisted to back a virtual who's who of popular music, including Bob Dylan, Neil Young, Eric Clapton, Tom Petty, Creedence Clearwater Revival, Levon Helm and many many more. In the early 1980's, Dunn played with Eric Clapton on the Behind the Sun album. Clapton was asked about working with Duck and told this story: When the crew was packing equipment, Duck grabbed his bass and said "This stays with me." Clapton noted it was old and weathered, and gently needled him: "Have you just got the one, Duck?" Deadpan reply: "Had two. One went down with Otis." 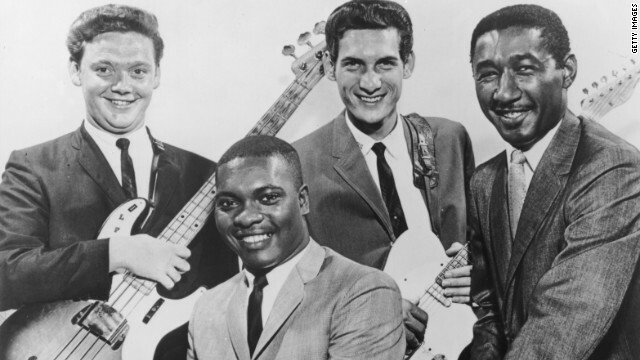 Dunn's longtime musical partner and boyhood friend, Steve Cropper, guitarist for Booker T and the MGs, had this to say: “Today I lost my best friend, and the world has lost the best guy and bass player to ever live." The Soul Corner and all of us at WYMA send a huge thank you to Donald "Duck" Dunn for a lifetime of incomparable music.